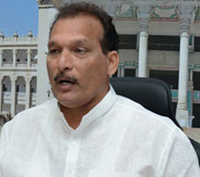 Mangaluru, May 5, 2016: On May 4, a delegation led by Congress MLC Ivan D’Souza, met regional passport officer P S Karthigeyan at RPO, regional passport office, Bengaluru to demand setting up of passport offices in Mangaluru, Mysuru and Hubballi. The delegation presented a memorandum to the MEA, union ministry of external affairs through the officer urging the ministry to act on earlier recommendation to set up passport offices in these three tier-two cities. The MEA is issuing nearly 6.5 lakh passports each year in Karnataka through the RPO and passport seva kendras in the state. Karnataka is in the third place behind Lucknow in Uttar Pradesh and Andhra Pradesh in terms of number of passports issued per annum. However, Karnataka has just one RPO causing problems for passport applicants, he said, adding on the other hand, there are four passport offices in Andhra Pradesh and Kerala and five in Mumbai alone. Noting that Karnataka by the size of its population too should get at least three passport offices, MLC Ivan said Karthigeyan has already sent his recommendation to the MEA in this regard. Claiming that MEA has not taken any decision on this recommendation, the MLC said this is causing problems to the applicants. In some cases, it becomes imperative for applicants to travel up to 750-kms to reach the passport office and 15% applicants have to go to RPO for their passport needs. This problem can be solved by opening at least three more passport offices in Karnataka, MLC Ivan said adding memorandum has been addressed to MEA Sushma Swaraj. The MLC also demanded setting up of additional PSKs. The functioning of PSKs in the state is not up to the mark and additional staff should be deployed there. He said that steps should also be taken to address doubts regarding passport verification certificates and brokers and middlemen kept away from PSKs.